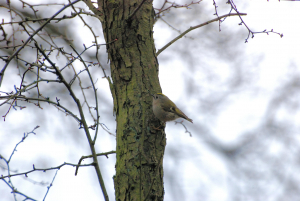 Observation - Goldcrest - UK and Ireland. Description: Lots of these little guys about (I know we have said it before but it’s true. BTO’s BirdTrack is showing above average recordings, I downloaded the chart but reading the T&Cs I don’t think I can reproduce it). Lots of these little guys about (I know we have said it before but it’s true. BTO’s BirdTrack is showing above average recordings, I downloaded the chart but reading the T&Cs I don’t think I can reproduce it).